How Much Heating Oil Should You Be Using? Winters can be harsh, with the bitter cold nipping at your toes and keeping you inside all day. When it gets this cold, there’s nothing better than a warm home where you feel cozy and completely sheltered from the cold outside. Keeping your house warm, though, can sometimes be an issue. If you use a fuel oil heating system, you know the challenge of ensuring there is enough fuel in the tank to keep you warm in spite of the freezing winter cold. It can be difficult to know just how much heating oil you will or should use, and along with this, what you can expect to pay for all of it. The tips below can help you determine your personal projected oil usage, providing you with the closest estimate of how much oil you will need depending on your personal situation. 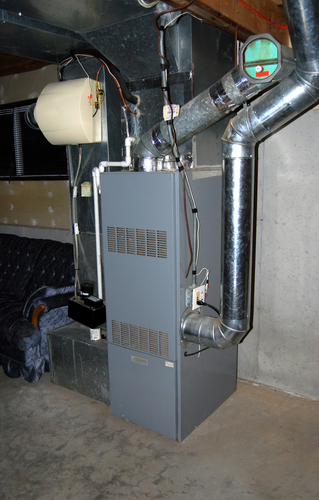 On average, oil-burning furnaces use between 0.8 and 1.7 gallons per hour while in operation, but this is a fairly wide range. The first step in getting a more accurate gallons per hour measurement is by finding the manufacturer’s plate on your burner, which should say how many gallons per hour that specific model should burn. It’s important to remember that depending on the age of your oil-burning furnace, it may not burn exactly as many gallons per hour as the manufacturer’s plate says. If you want an even more exact measurement, consider doing a ‘furnace watch.’ Pick two observation times for one day, being the coldest and warmest part of the day (say 3am and 3pm). Once this hour starts, listen for when the furnace engages, then start timing how many minutes it burns fuel in that one hour. Once you have both of these measurements, add all of the minutes together and divide them by two to get an average number of minutes your furnace burns fuel each hour. Multiply this number by 24 to get the number of minutes a day fuel is being burned, then finally, divide it by 60 to find the total number of hours a day the furnace is burning fuel. If you multiply that number by the number of gallons per hour found on the manufacturer’s plate of your furnace, you’ll have a fairly close measurement of how many gallons of oil you burn each day. If you’re more curious about how much you can expect to pay for your heating-oil bill, the best way to do this is to gather old heating-oil bills from as far back as you can. Find all the bills from the last year, add together the total cost, then divide by 12 to get an average monthly cost. Your monthly bill should be around that cost, depending on how cold it is outside and how much oil you’re burning that month. So, although it can be a bit complex, doing the math is the only way to get a relatively accurate estimate of how much oil you will burn each day, as well as how much you will probably pay for it. This will help ensure you always have enough oil to keep you warm, so you can stop stressing about the cold and start enjoying being cozy indoors! For more information on oil and our services, give us a call at (978)-443-2300 or fill out a contact form.